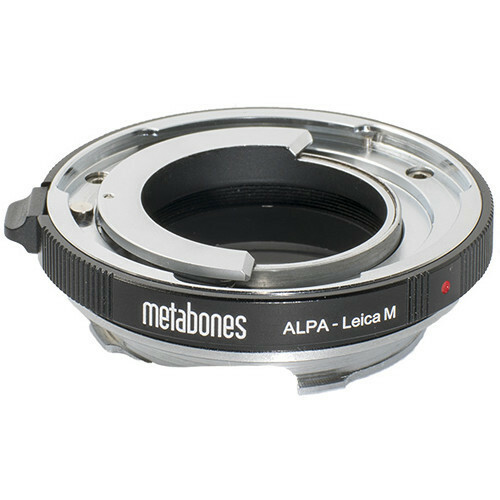 Adapt your Alpa-mount 50mm lenses to a Leica M-mount camera by picking up this Adapter with 6-Bit Coding from Metabones. Designed to work with all Alpa 50mm lenses, this adapter is both rangefinder-coupled and 6-bit coded, allowing rangefinder cameras to properly focus and show frame lines as well as recognize the lens and optimize imaging. 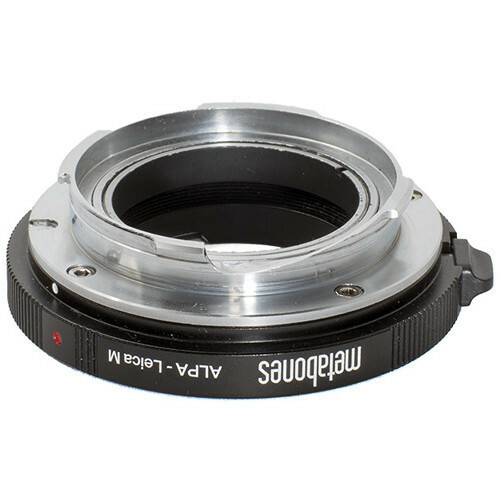 Infinity focus is guaranteed while a leaf spring design provides a secure lock when the lens is attached. 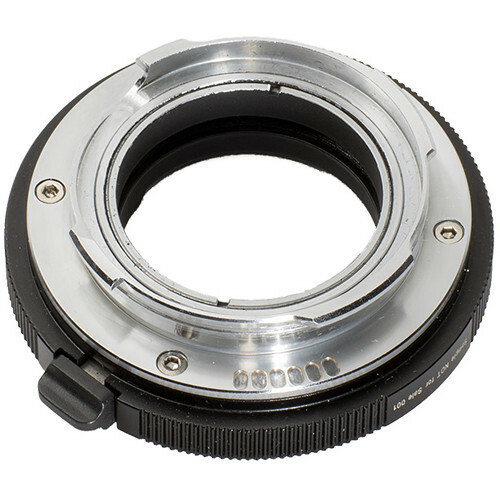 Additionally, the satin finished adapter is made of brass with a chromium plating. 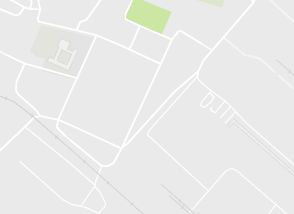 3.0 x 3.0 x 1.0"